Allan Block makes it easy to estimate your materials. 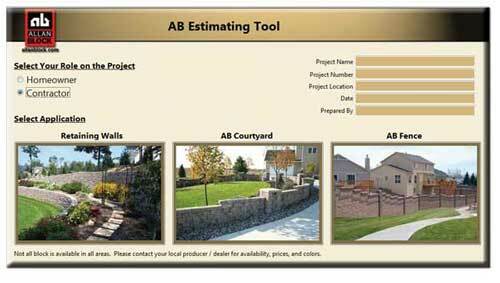 Choose the from the estimating tools below to quickly calculate the amount of materials for your retaining wall, patio seating wall and/or fence projects. Design and estimate retaining walls up to 6 ft. (1.8 m) and receive a full project portfolio with design plans, elevation drawings, wall section details, and material quantity estimates. Available in english and metric units. 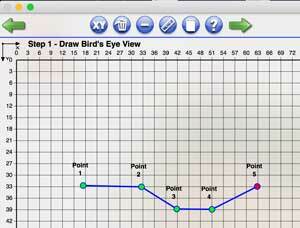 Use the simple screens to enter information about your project for height, length, soil type and then choose a condition that represents your yard. 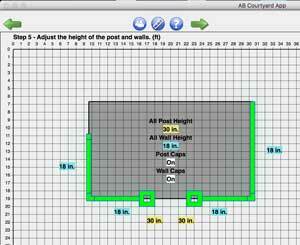 As an option you can enter in exact X, Y and Z coordinates of your wall to adjust the projects location and height information for more exact estimates. Entering in this basic information will give you a rough estimate of the blocks you will need in an easy to read format. Want a more in depth estimate? Submit your project to the Allan Block Design Center and receive a Free estimate that includes cross sections, block and material estimates quantities. Choose from a variety of pre-design patio packages or create your own patio design and receive project plans, elevation designs, material estimates and installation instructions. 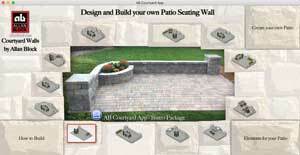 Design & estimate your perfect courtyard patio with this useful tool from Allan Block. Choose from the AB Courtyard Patio Package choices that offer pre-designed layouts with different styles and looks to transform your backyard space. Each package has video installation and detailed instructions available. Looking for just a small accent to add to your space like a pond, bench or planter? Choose from our Element options to give your outdoor space a simple upgrade. These can all be built in just a weekend and enjoyed all season long. Then let your creativity shine and easily design the size and style of your patio and seating walls with the flexible AB Courtyard Collection. Use the Create Your Own Feature and simply choose the size of your patio area, select where the walls will be, add curves, corners or posts and then enter the heights. Quick and easy and you’re done! Want more? Add on accents from our Elements, like ponds, fire pits, bench seating or grilling stations to expand your custom layout even more. 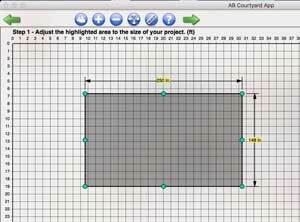 Estimate all your Allan Block projects in one place with the AB Estimating Tool. 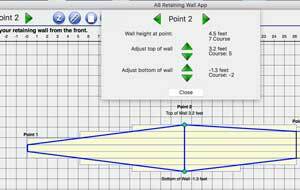 This simple material estimator for retaining walls, patio walls and concrete fences allows you to quickly and efficiently estimate the materials needs for large and small retaining walls, AB Courtyard patio walls and AB Fence sound and security fences. Allan Block makes it easy to estimate your materials. 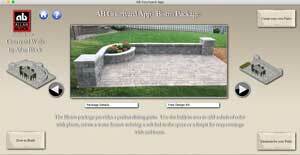 Quickly calculate the amount of block, capstones, and other materials for your retaining wall, patio seating wall and/or fence projects. 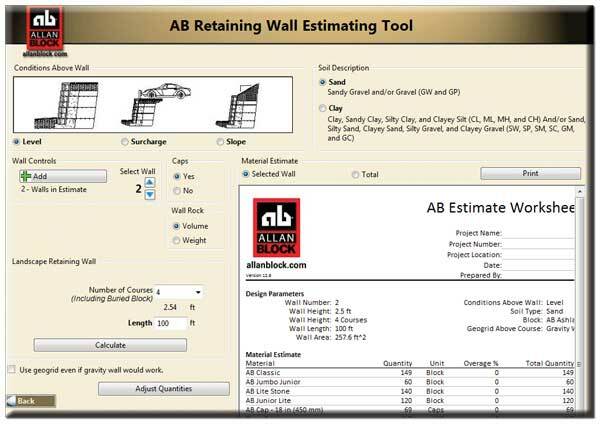 This estimating tool enables you to estimate any of your Allan Block wall projects. Estimate Your Projects in Minutes! 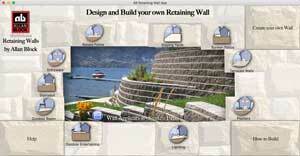 Estimate retaining walls, patio walls and Fences all in one place!